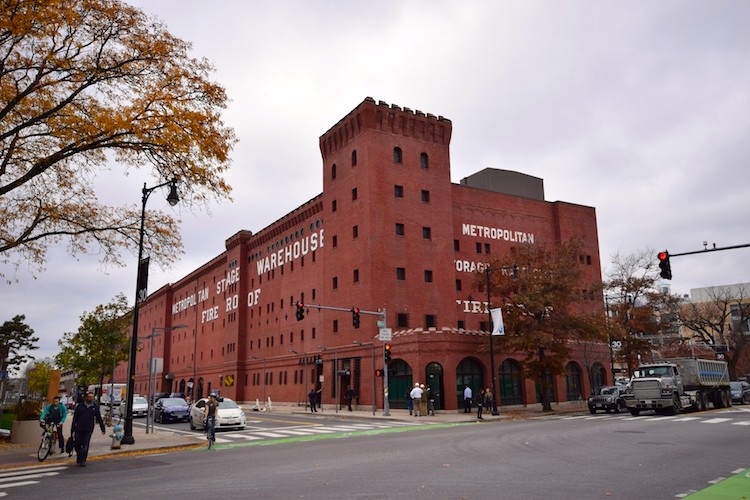 The most distinctive Cambridgeport warehouse, as well as one of the oldest buildings in the vicinity of MIT., is the Metropolitan Storage Warehouse at Massachusetts Avenue and Vassar Street. Built in 1895, the five-story, 90-foot-wide brick building was extended in 1911 to a total length of 480 feet. 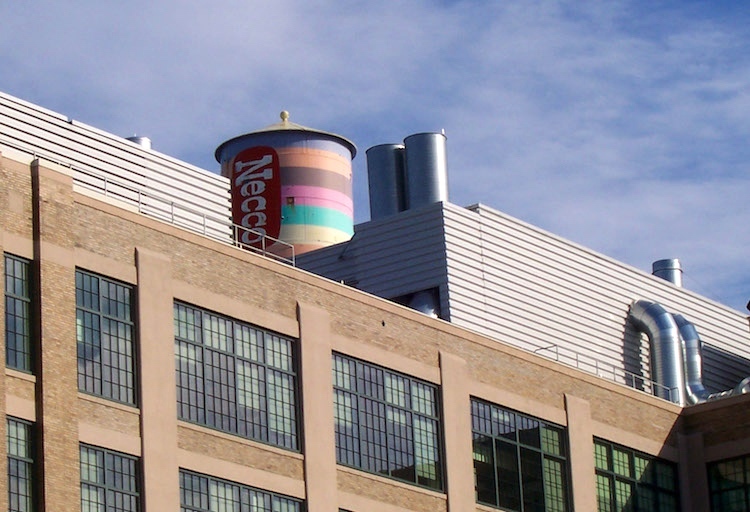 Peabody and Stearns were the architects for both the original building and the extension. Although constructed of brick rather than a reinforced concrete, the warehouse is fireproof, because its ceiling and roof are brick-arched … Stylistically, the Metropolitan Warehouse evokes the solid, impregnable image of a medieval castle, with a prominent square corner tower, additional towerlike projections along both main facades, a crenellated corbelled cornice and small slit windows (round in the top story). And really, really thick walls. That’s the Charles River at the bottom. Building 7, on Mass. Ave., is the main entrance to MIT. Building 10, with the dome over it, is at the center of the original main structure (buildings 1-8). 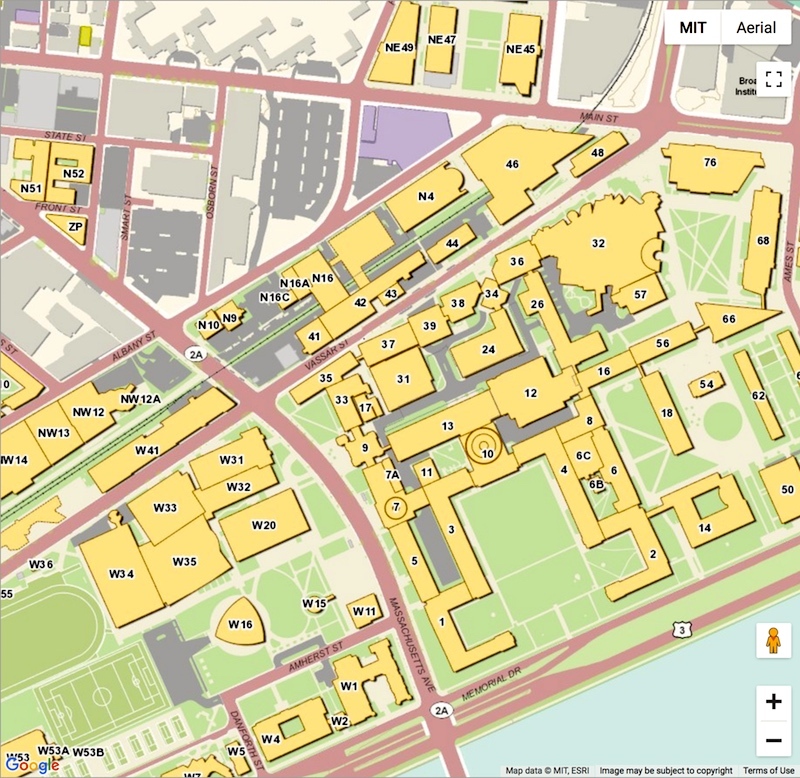 When Ann (Daingerfield Zwicky) and I were at MIT, building 8 housed the Science Teaching Center (where Ann worked; some details in my 12/9/16 posting “The abacus”). 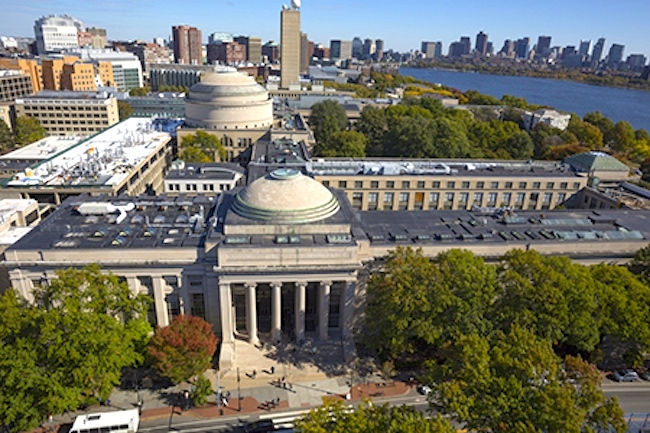 (#4) Main entrance to MIT, on Mass. Ave. 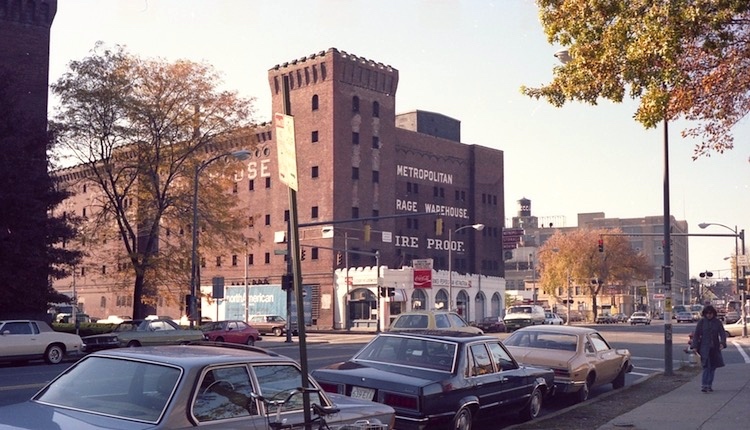 The Metropolitan Storage Warehouse is building W41 on the map (W for West, meaning west of Mass. Ave.), on Vassar St.
Further up Vassar St. on the map is the big building 32, the Stata Center (housing both Linguistics and Philosophy, among other things) — the Frank Gehry successor to the ramshackle building 20 of my MIT days, where the linguists hung out. See my 1/27/12 posting “Building 20”. At the center top of this map, on Main St., the buildings of Technology Square, a mix of MIT offices and commercial development (including a cafe where I used to meet some friends for breakfast). 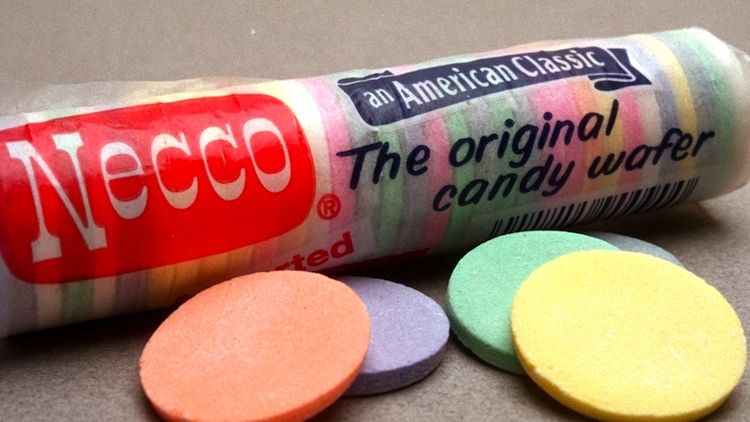 Necco (or NECCO) is an American manufacturer of candy created in 1901 as the New England Confectionery Company through the merger of several small confectionery companies located in the Greater Boston area. This entry was posted on September 30, 2018 at 8:02 am and is filed under Language and food, Language play, My life. You can follow any responses to this entry through the RSS 2.0 feed. You can leave a response, or trackback from your own site. Somewhere in our house (it used to be on a wall near the front door, but got displaced during a renovation) is a black-and-white photograph showing a closer view of the iconic IRE/RAGE wall, probably taken sometime in the 1960s.